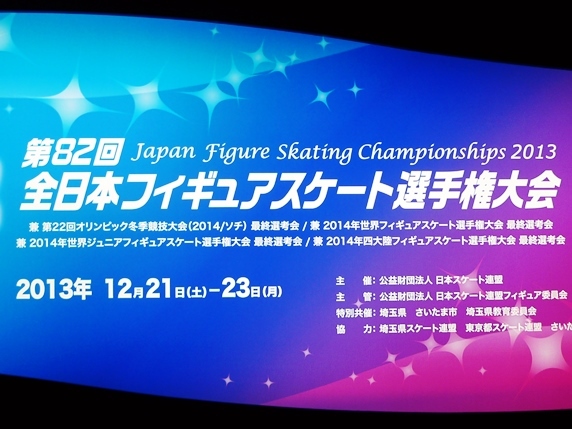 My main interest in the Christmas season is Japan Figure Skating Championships commonly known as Japanese National. After 2005/2006 season, the National had been held in distant cities, and finally this year, the championships returned to the Tokyo metropolitan! I went to watch games on the first and last days. There were lots of things: who would be selected to go to the Olympics, what kind of performance Ando would do, how young skaters would fight, if Mao’s new layout would work or not, and so on. In the result, except Takahashi’s dramatic ups and downs, the most likely candidates were selected, Ando did what she could do with her utmost effort, and I could enjoy youngsters with a promising future. What are on someone's mind are concerns about Mao’s 3A, more precisely, her obsession with 3A. I personally think just one 3A for her FP containing difficult elements is enough and she would better concentrate on performing it clean rather than adding another 3A. But, if she wants to conduct 2 3As as the compilation of her skate, what I can do is supporting her decision and rooting for her on the side cheering. She already tried 3 3As at Vancouver Winter Olympics and knows how hard it is. On that basis, she’s going to try it again, doing the whole program perfectly this time. 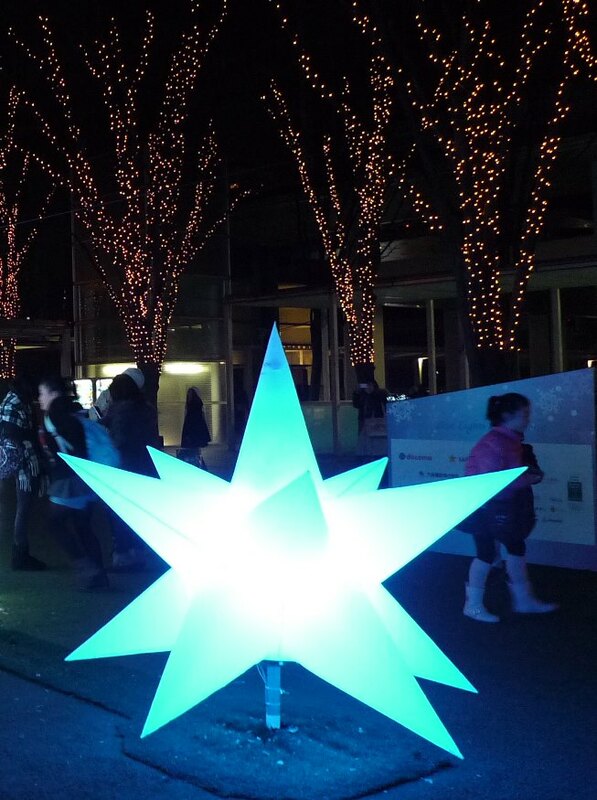 She thinks her condition is far better than that in Vancouver year and can do it. However, I'm afraid her back problem throws her plan out of gear. I heard she couldn’t practice enough after Grand Prix Final due to the backache. There might be physical fatigue as a corollary of consecutive games. Anyway, I think her physical condition isn’t better than four years ago. Additionally, in an interview after FS yesterday, she said half of her marker of successful FS performance depends on the success of 2 3A. As far as I concern, when people who tend to believes only what one wants to, like Mao, are in a deep trough physically and mentally, one more and more tends to hang on something that one clings to. Once one is in that state, and then nothing goes right. She thought she avoids second 3A before the FS, but she said she conducted it because she couldn’t do the first 3A clean. Her decision ended up missing the combination jump of 3A-2T and the other one, 3F-2L-2L, in the second-half. Don’t you recall what was happen in Vancouver? Her anguished face when she saw the score…. I felt that was the sign she is struggling and with clinging on something. That worries me because I saw that face four years ago. However, unlike four years ago in which she was a minority of one, the grounded coach, Mr. Sato is on her side this time, and she’s totally a different skater growing up in these years. I believe she can handle a situation calmly. Whatever jumps she’ll conduct, I hope she’ll be under no illusions in Sochi. I made an overnight trip to Ajiro with the other day. My friend and I took a bullet train from Tokyo and got together with the other friend from Osaka at Atami Station. 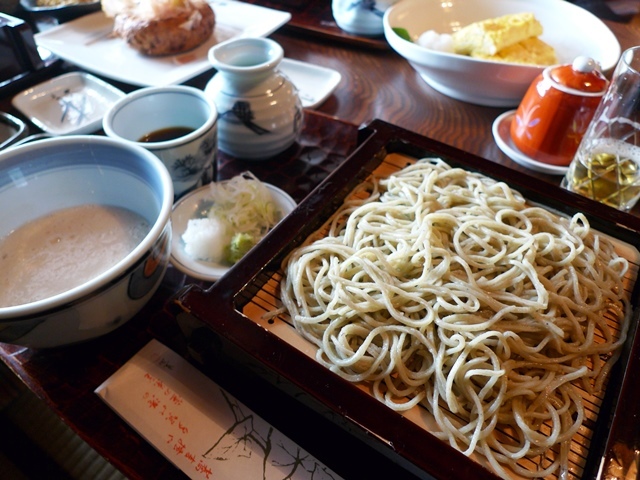 Then, we headed to a famous soba noodle shop named Taga in Izu-Taga. 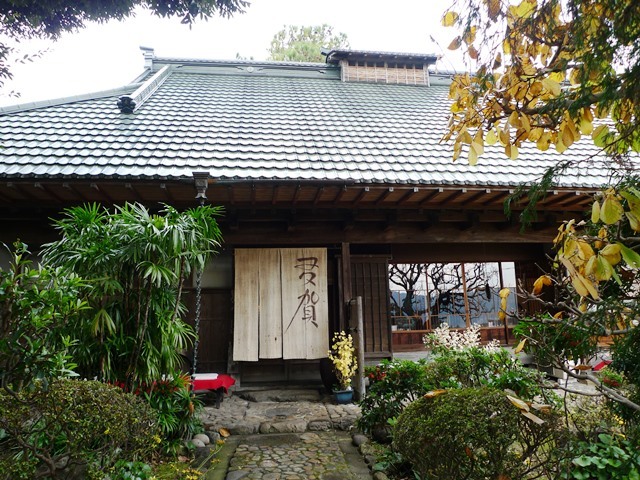 The wooden building of the shop was made in the end of the Edo period (about 150 years ago). Enjoying the lovely garden, we had lunch. 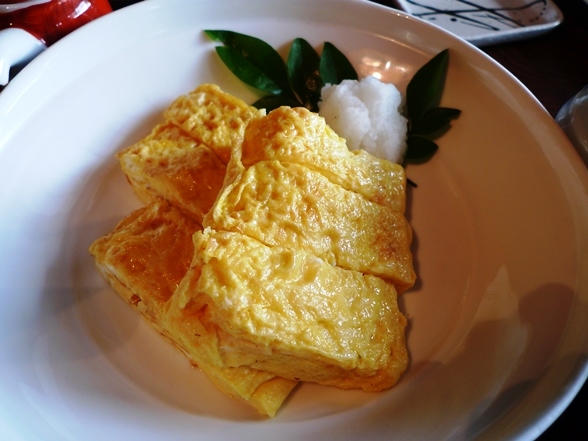 When you visit there, don’t forget to order Japanese omelette! 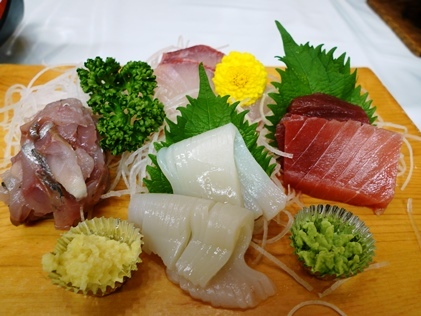 I decided to stay at a hot spring inn and seafood restaurant, Hirazuru, in Ajiro. This is my third visit to the seafront inn: I had lunch at the restaurant at the first time and just used bathing facilities at the second time. 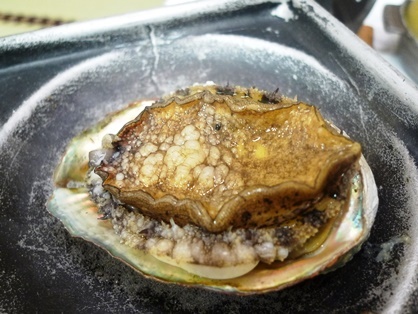 Through the experiences, I knew the inn serves delicious seafood (it’s run by a marine product processing company) and has a very nice hot spring. 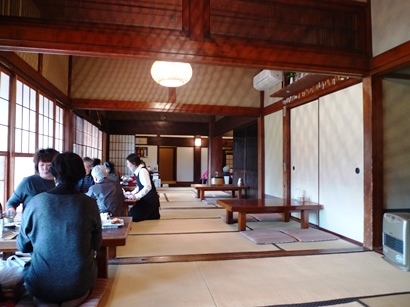 In Japanese inn, the price of accommodation usually includes dinner and breakfast (one night and two meals per day), and I chose the reasonable set meal, and it was adequate in terms of both quantity and quality. 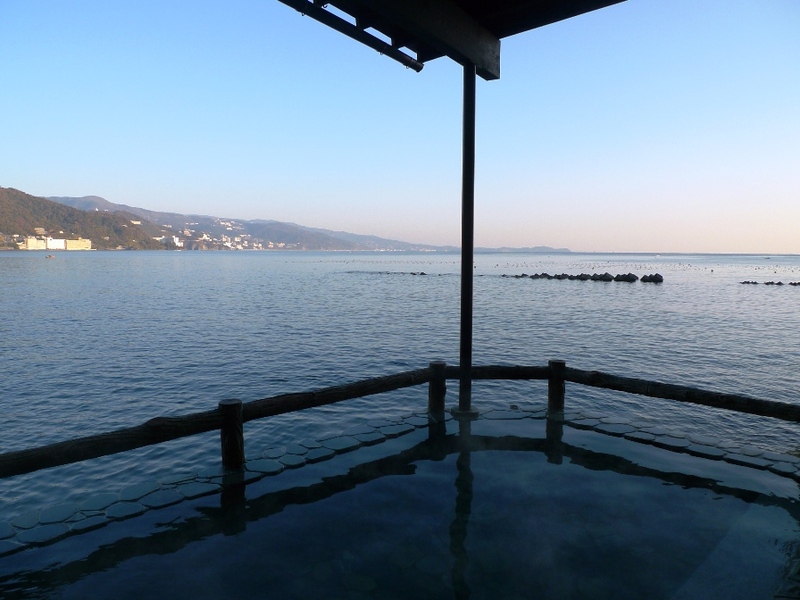 The other attraction of the inn was the view from the outside bathtub that was just like floating in the sea! 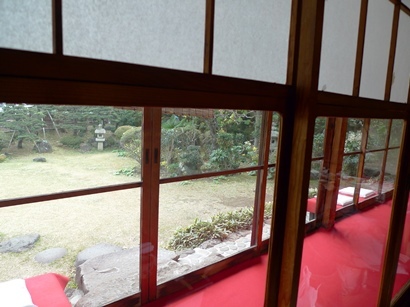 Ajiro and Izu-Taga are small hot-spring resorts located in Izu Peninsula. 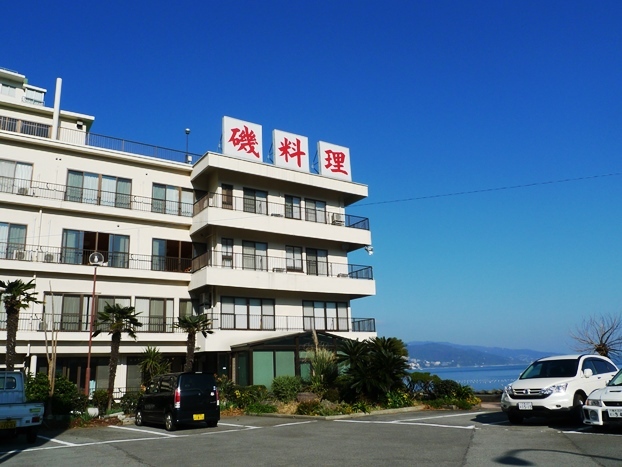 It’s about a 10-to-20 minute drive away (also, a few-minute train ride) from Atami that is a vast hot-spring resort with many large luxurious hotels and the gateway to East coast of the peninsula. The short drive changes many things. If you prefer resorts with laid-back atmosphere and want to enjoy fresh local seafood with reasonable price, why don’t you take a road trip to these towns?